Did you know Beacon Group cleans close to 2 million square feet of commercial space daily? Our government and commercial contracts allow us to provide work opportunities and job training for persons with a documented disability. 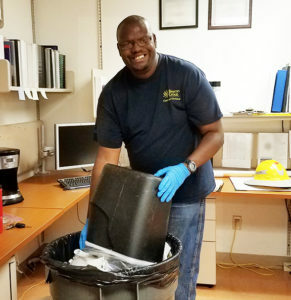 Find out more about joining a successful performance-based team doing custodial, landscaping, floor care/maintenance, trash/recycling, and other services all over Arizona. Learn more about Custodial, Floor Care and Landscaping Positions. See all of our Open Positions.